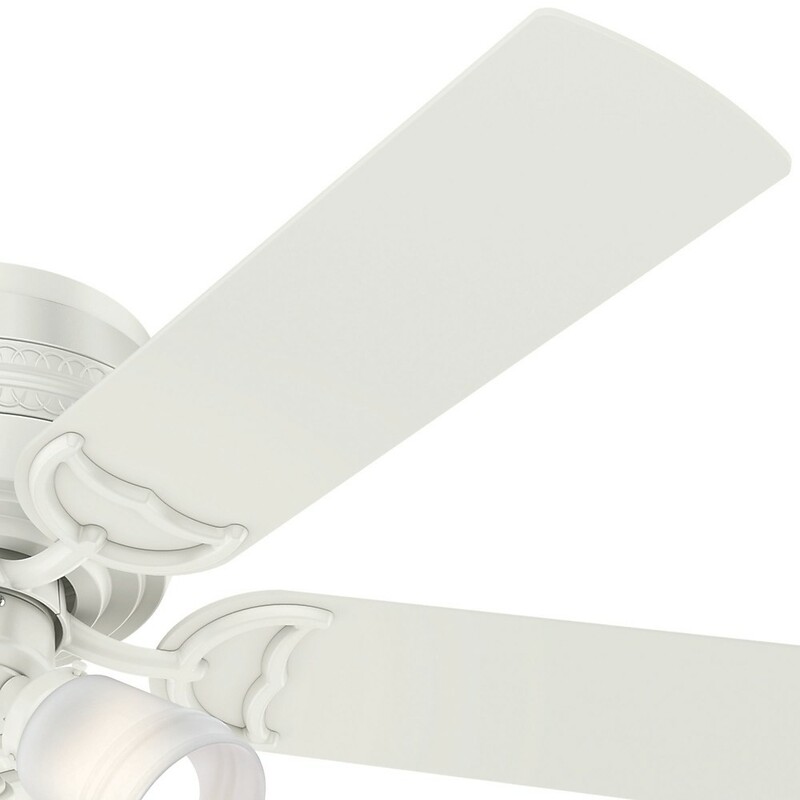 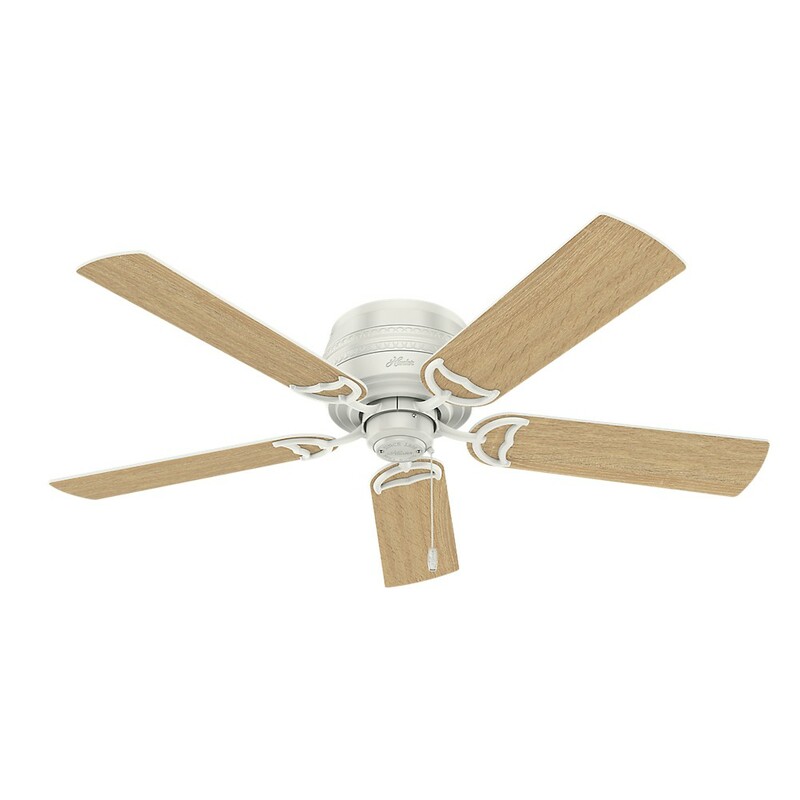 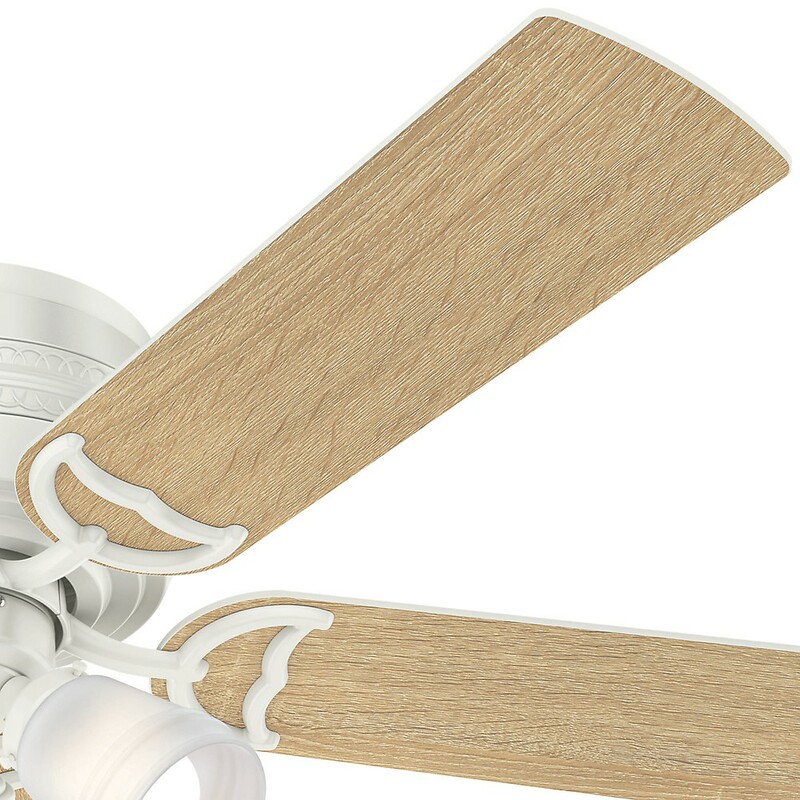 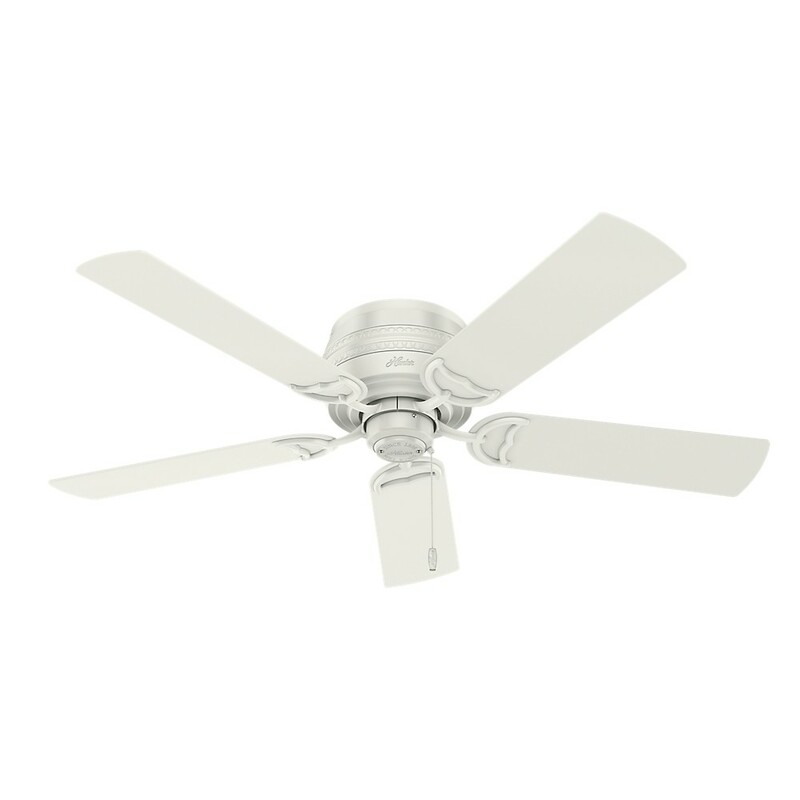 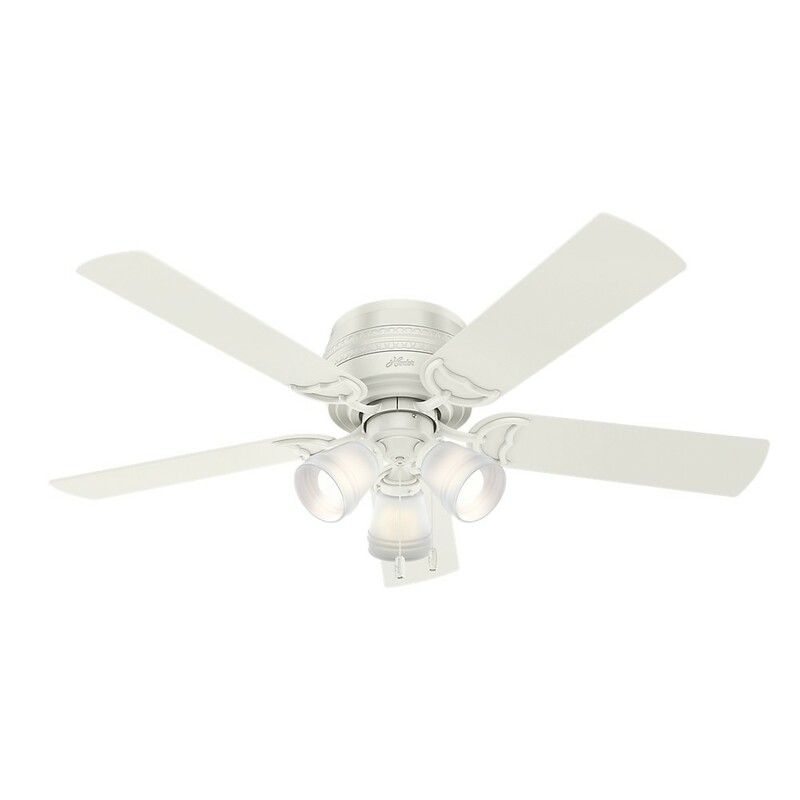 5 Reversible Fresh White/Drifted Oak Fan Blades Included. 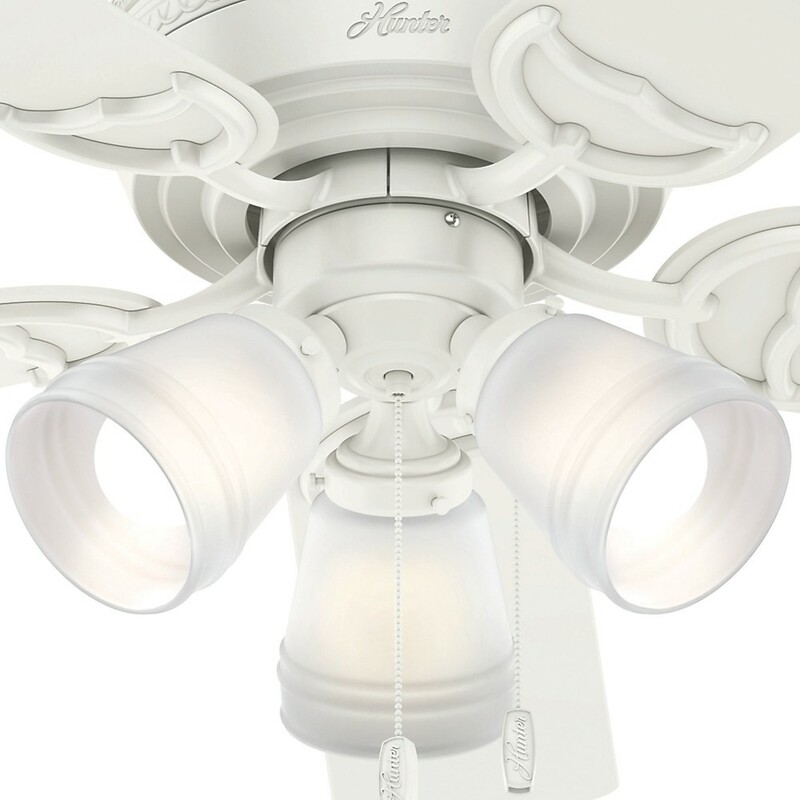 13 Blade Pitch Light kit features Cased White 3 Light fixture. 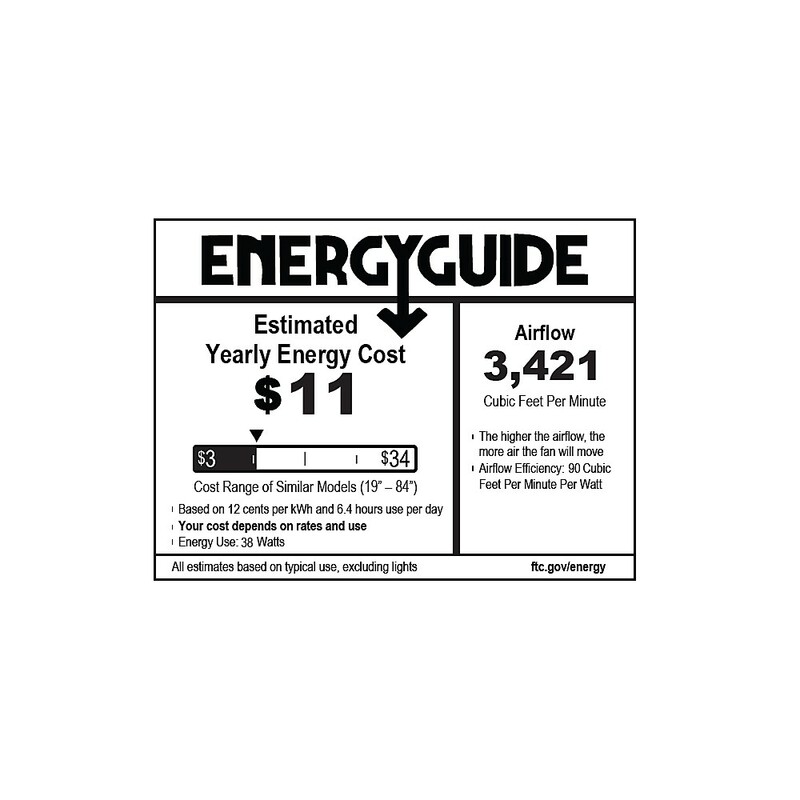 Includes 3 9W LED Bulbs. 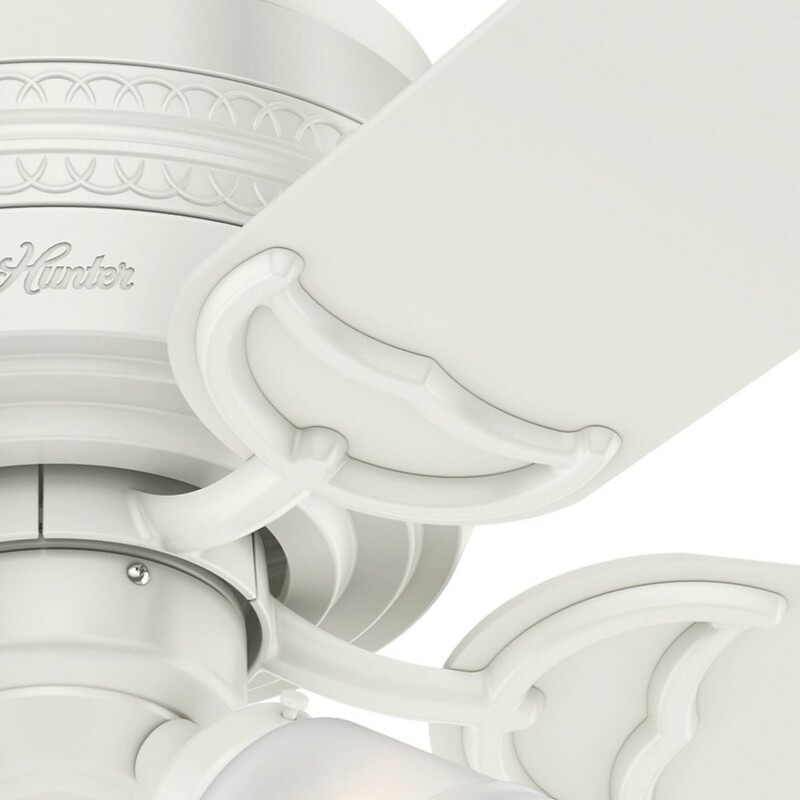 You will love the dimmable light feature. 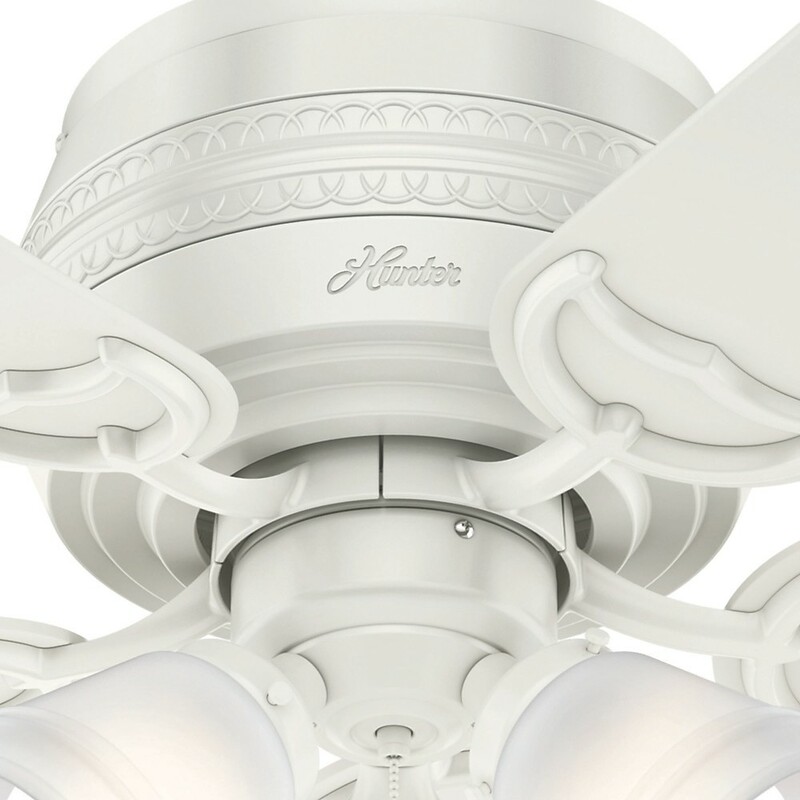 3 speeds controlled by pull chain. 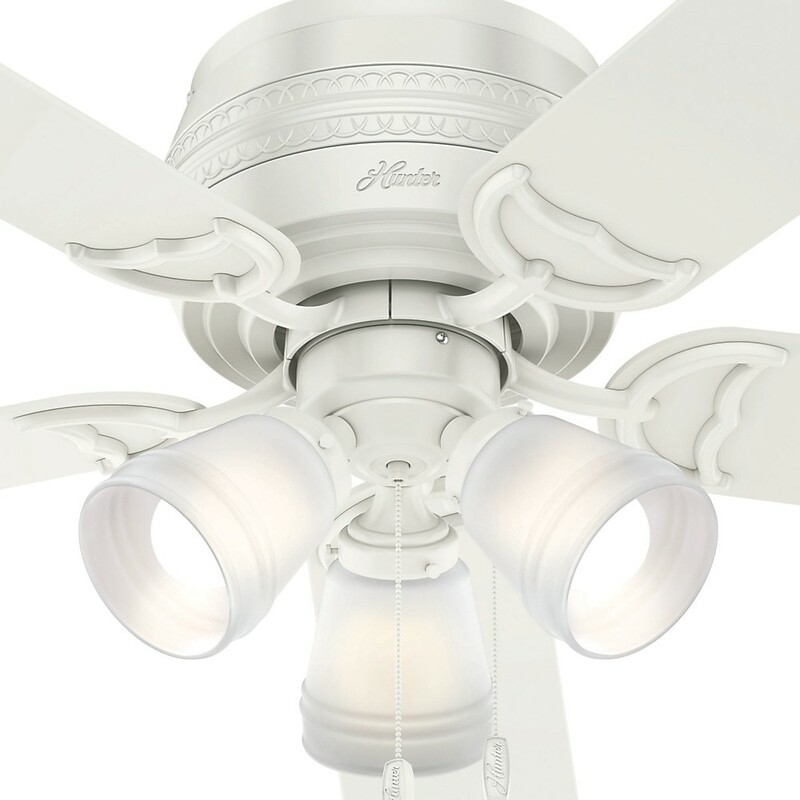 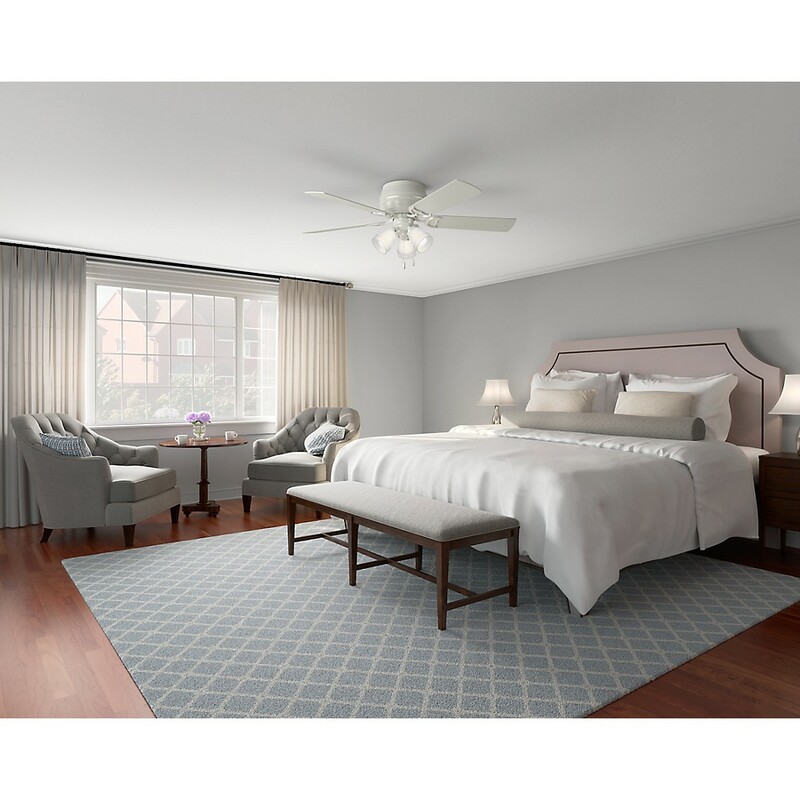 Low profile ceiling fan mounts flush to the ceiling.